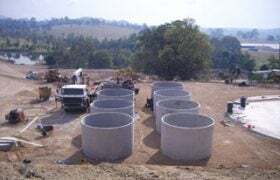 Arris Water has a construction crew comprising of earth moving contractors, plumbers, electricians, concrete specialists, wetland specialists, irrigation installers, builders and fabricators that enable us to take a design through to completed construction. This construction focus enables the company to continuously improve on the performance and productivity of the plants that it designs. As Arris Water is able to select the most cost effective and reliable solutions and combine this with its own proprietary technology, the team is able to create purpose built treatment solutions to meet our clients’ needs. 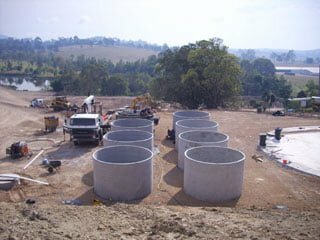 We have constructed potable water treatment systems, wastewater treatment facilities, groundwater treatment chains for irrigation, stormwater transfer and treatment infrastructure, recycled water networks and reuse schemes, pump stations, sewer installations, reticulated water delivery systems, biosolids dewatering, storage tanks, and irrigation works. 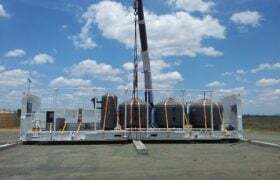 Arris Water can build and containerise our water treatment plants at our Rockhampton yard and deliver the completed product to site. 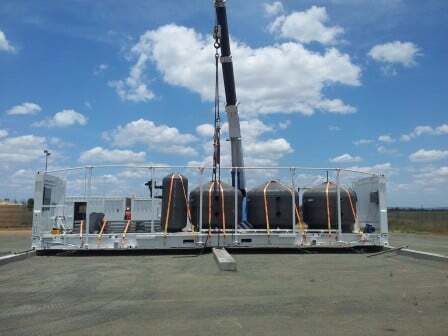 This can reduce costs for remote and regional builds and also means that the treatment solution is transportable. Moreover, we have successfully retro-fitted existing treatment chains with the aim of improving water quality and reducing operational costs. The Arris Water team has exceptional skills in trouble shooting treatment concerns within existing treatment chains. Arris Water has developed a reputation for on time and on budget delivery of decentralised turnkey water services. Arris Water is able to build plants that can handle variable flows, in either a batching or continuous flow operation. We will design, build and then transfer the completed plant to the client or we can undertake to operate the plant for the client.